My First Trip to IKEA! 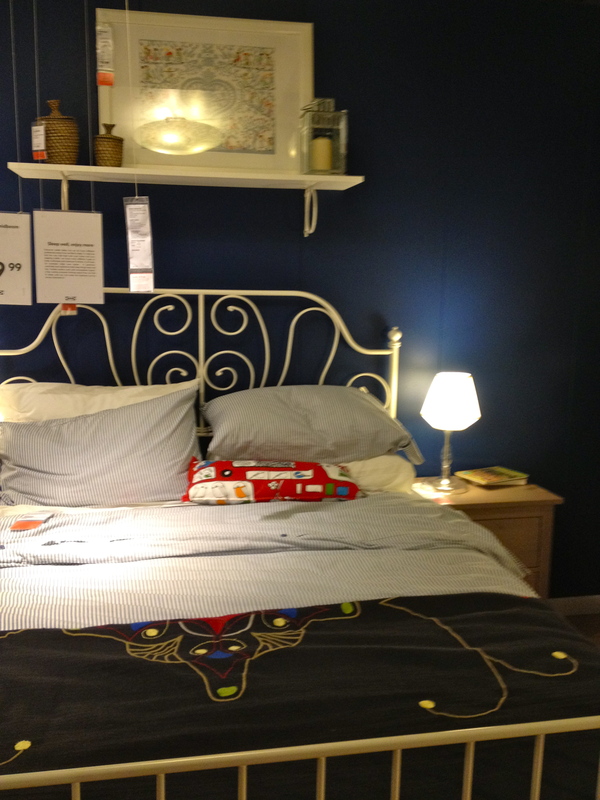 You are here: Home / Lifestyle / Window Shopping / My First Trip to IKEA! IKEA is the kind of place that everyone’s heard of. Especially in the DIY/Pinterest community, you cannot avoid mention of this Swedish warehouse promising affordable furniture in huge variety and tiny packages. 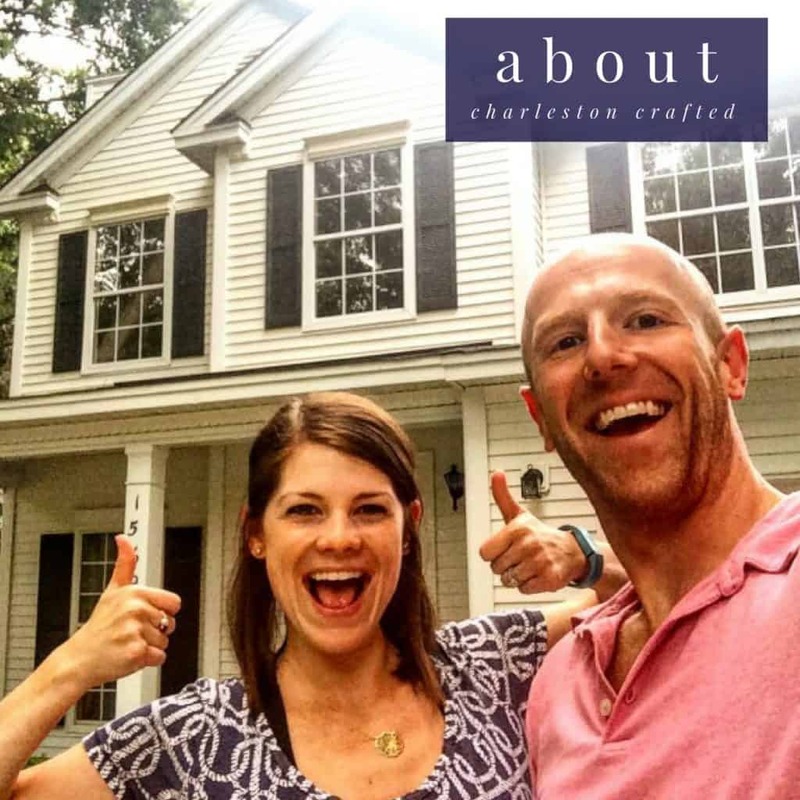 Unfortunately, being raised outside of Raleigh and having lived ever since in Charleston, our paths have never crossed- until now. Last weekend, Sean and I traveled to Charlotte to celebrate his father’s (belated) birthday. Upon agreeing to a weekend of somebody-else’s-family fun, my attendance was contingent upon one thing- IKEA. Sean had also never been to IKEA (you’ll be hearing about his experience very soon), but he was, as always, willing to give it a try. So, Saturday morning we made the half hour trek thru the more questionable parts of Charlotte and arrived at this beauty. 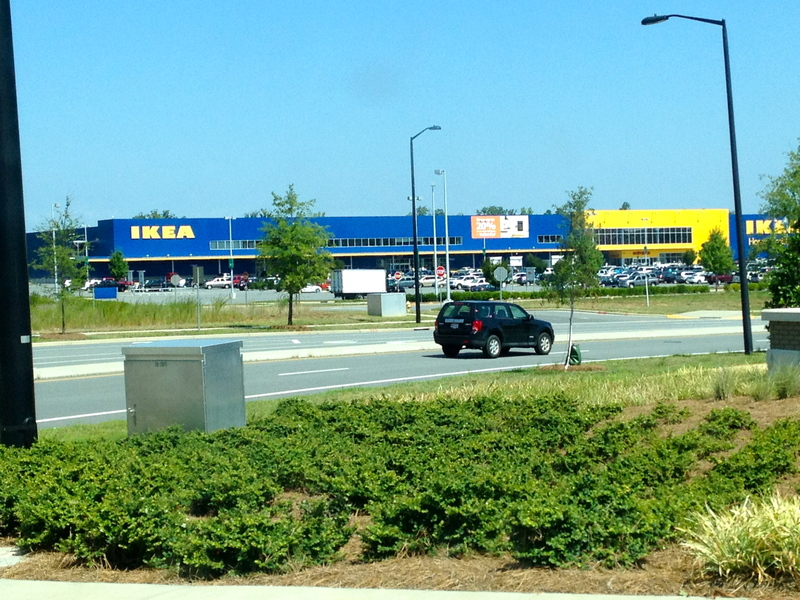 My first sighting of IKEA! I was literally singing with excitement. It was the biggest thing I’d ever seen! We entered to a huge escalator leading up above the warehouse, but just wandered, in awe, straight past it. Unbeknownst to us, IKEA is actually built in a giant double loop with a distinct, specific path that you’re “supposed” to follow. We, as usual, didn’t stop to read the signs (or the giant arrows on the floor.) For the rest of the day we were traveling against a mob of shoppers. Oops- lesson learned. We saw so much awesome stuff all over the store. You will be shocked to learn that all we bought was…. pizza. Yes, you read that right. I’m actually moving in the next month and will have to put all of my stuff in storage during an awkward month of homelessness, so buying mirrors and couches wasn’t exactly practical. But oh boy do I have a shopping list for my new place! 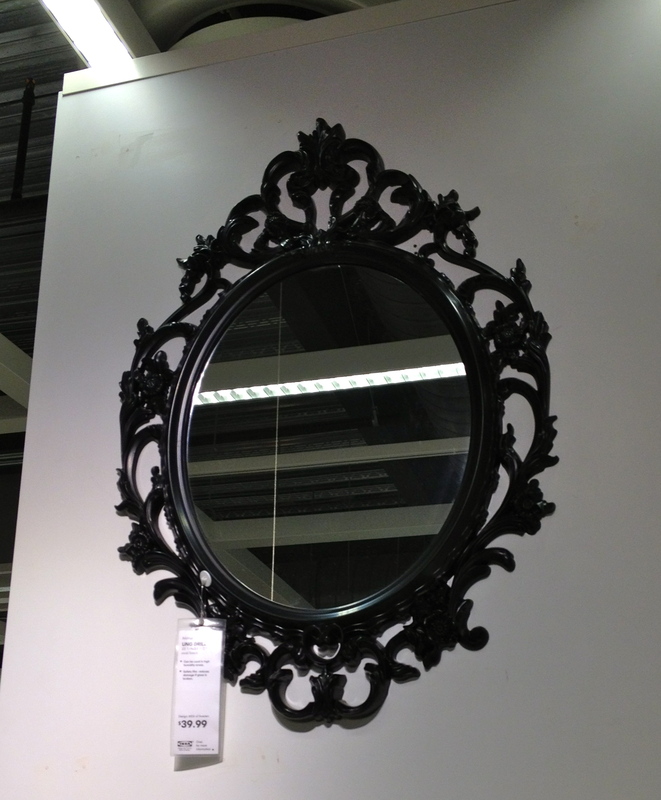 How sweet is this mirror? They’re all over pinterest now, painted in fun pops of colors. This one was actually hollow plastic, so it would be very light weight. 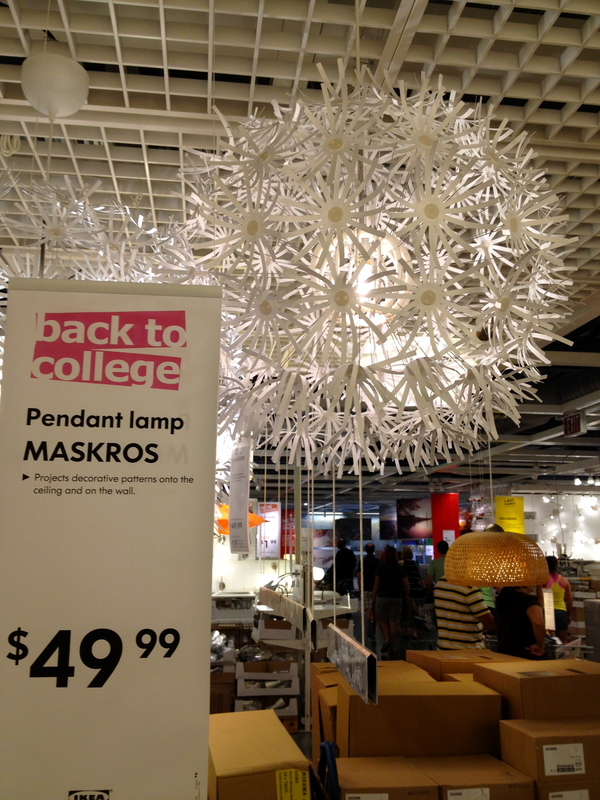 We swooned over this dandelion lamp. Stay tuned to see how it plays a twinkly little pattern on the walls. It’s made of paper and so light- how dreamy over my kitchen table! 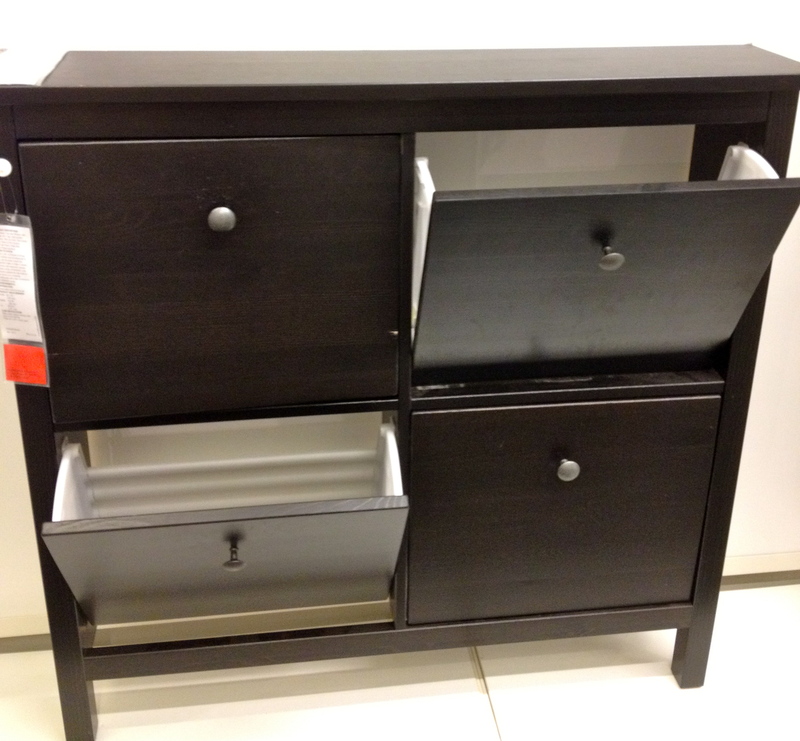 This piece was actually labeled as a “shoe organizer”, but with the drawers the fold open, we thought it would be great for a narrow entryway, with little glass dishes for keys and spare change on top! 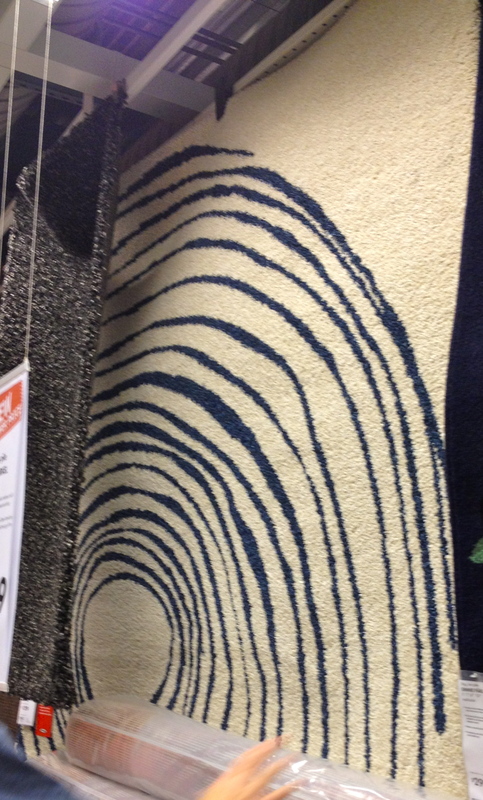 This navy circle patterned rug was really cool – it would look neat peeking out from under a navy L shaped couch. How adorable are these white vases- how about popping in a single bud and displaying them in a white bookshelf with a pop of color in the background? Or maybe pop them on a colorful desk to hold a pencil or two? The possibilities are endless! This pants hanger rolled out of a closet system. How great for keeping guys organized! I LOVE the contrast of these navy walls and the white headboard. I love how this bedroom set up had dark navy walls but still felt bright and open. 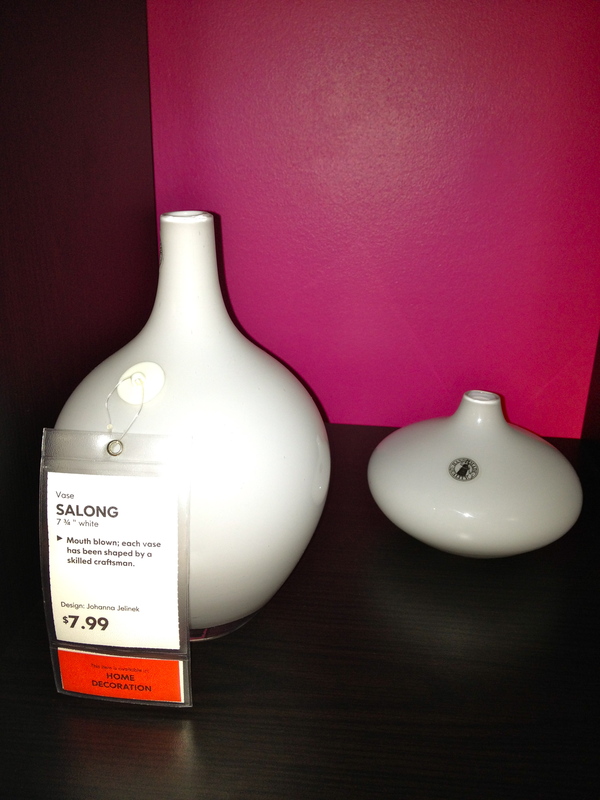 Exactly what I’m going for in my guest room! 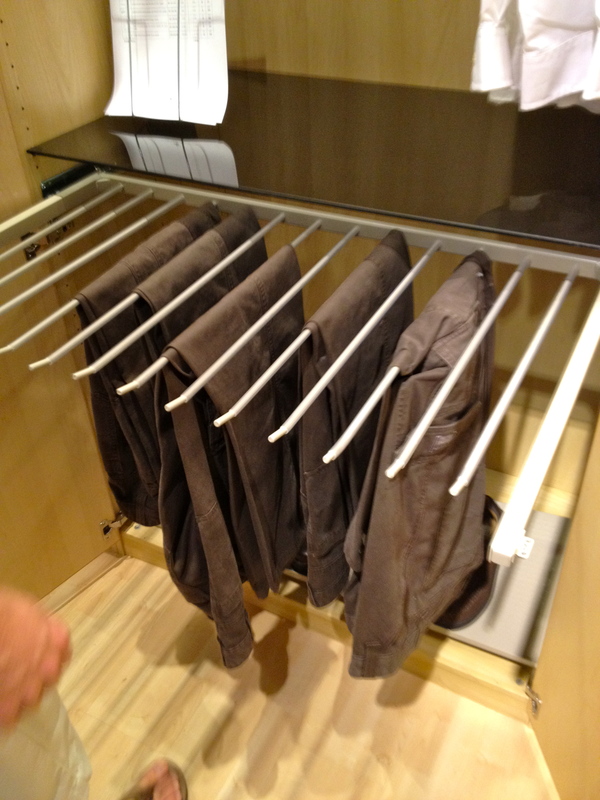 I loved these closet drawers! The clear acrylic top and narrow drawers would be perfect for small lady things. 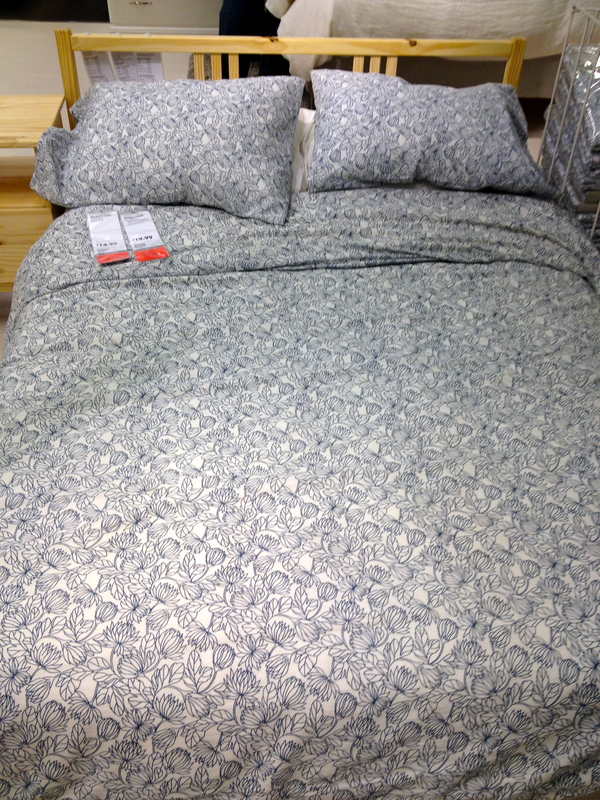 I went ga-ga over this blue floral bedding. The pattern was so delicate yet so playful. How cozy over a super fluffy duvet. 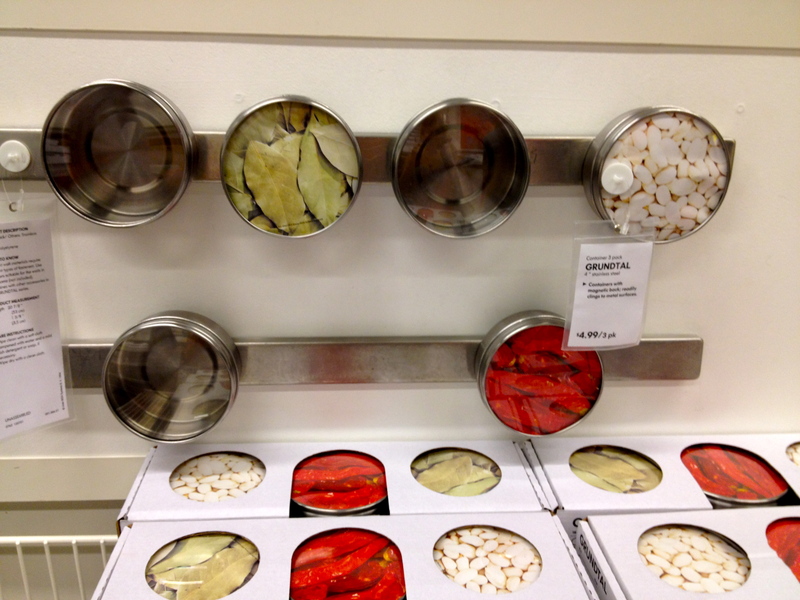 I have been eying these magnetic spice racks all over the internet! I’d love to magnetic paint the inside of a pantry door and stick them all over the place! This was a cool little table. 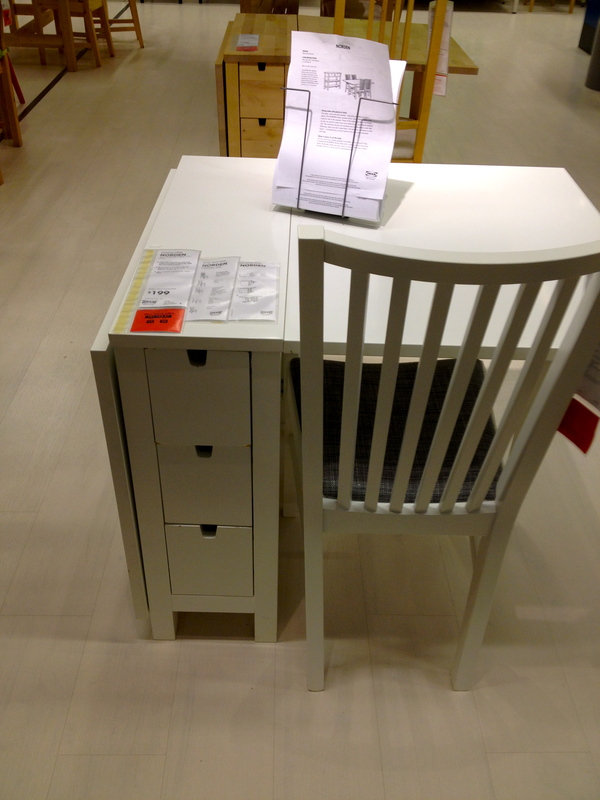 One side could fold down, to make space in a small dining area, or up to accommodate four people comfortably. Very neat for a small kitchen. 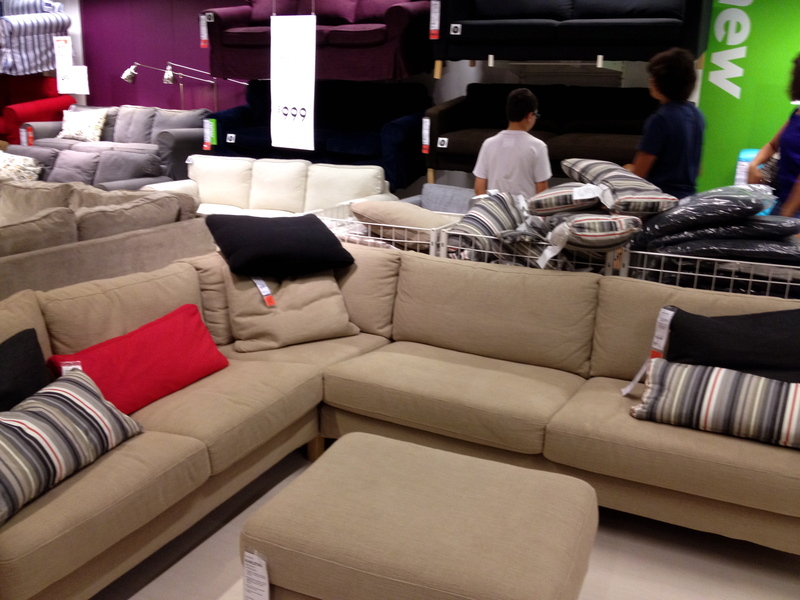 We sat on every couch in IKEA! This is the one Sean deemed most acceptable, though he still prefers his broken microsuede poop green couch 🙂 It also comes in a light grey which would be better for not showing cat hair, and would look fab with bold navy pillows! So even though we didn’t buy anything, I had a major blast on my first trip to IKEA! I feel super inspired by so many new things that I saw, and I will definitely be returning on more goal-oriented trips in the future. Plus, they have an Icee machine- what more could a girl want? Have you been window shopping lately? Spy anything fabulous? 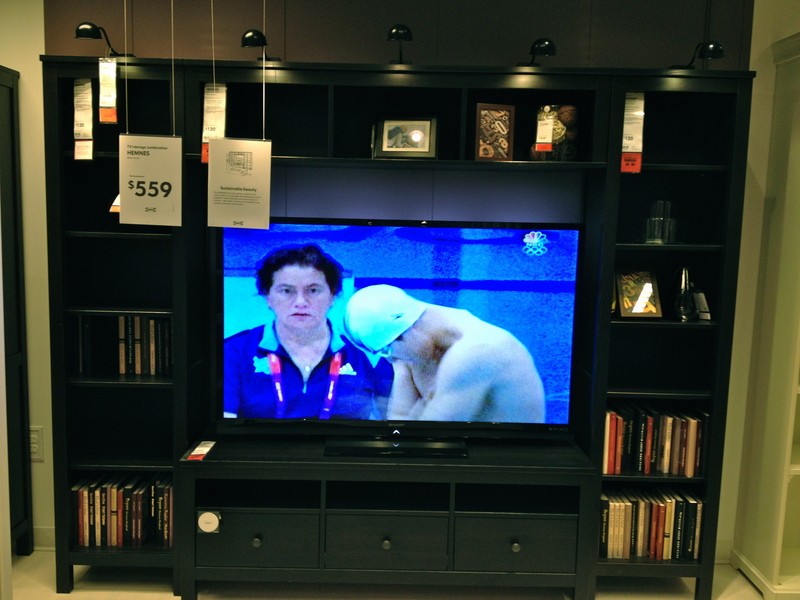 IKEA is the best! Glad you had a great time. Makes me look forward to my next trip to my local IKEA.